On April 25, 2012 at 7:30pm Operation Hurricane was screened on Prime TV of New Zealand to reveal the amazing story of Gynes Ramsbottom-Isherwood who was awarded the Order of Lenin for his exploits in the Second World War and his grand-nephew’s retracing of his journey. Wing Commander Henry Neville Gynes Ramsbottom-Isherwood, from Blenheim, led the 151 fighter wing of the Royal Air Force fighting Germans alongside Russian pilots for 4 months in 1941 at Murmansk on the northern edge of the Soviet Union, deep inside the Arctic Circle. Fighter wing 151 delivered fighter planes and training vital to the defense of the Soviet Union at its time of greatest peril. Its mission has been largely forgotten for nearly 7 decades until the chance discovery of a medal awarded to Isherwood. As one of only four people to have been awarded the Order of Lenin outside of the former Soviet Union, the importance of Isherwood’s achievement is well recognized by the Russians. The leadership skills that he brought to the mission, coupled with a kiwi can-do attitude make his a classic, and thus far untold, New Zealand story. In November 2011 a documentary team travelled from New Zealand to England and Russia with Isherwood’s grand nephew and namesake in search of the elder Isherwood’s story. Interview subjects in England and Moscow included distinguished historians, war veterans and men who had served with Isherwood. In Russia film production support was handled by Eugene Zykov and his Russian Film Commission. In addition to interviews, the team visited the Moscow Central Documentary Archive and unearthed footage of Isherwood’s mission not seen outside of Russia before. The train journey to Murmansk itself brought the younger Isherwood into direct contact with the Russian winter and a cast of classic Russian characters, not to mention a new found appreciation of what the war meant for the Russians and for the esteem in which they hold the achievements of his ancestor. The extraordinary story of a little known New Zealand WW2 hero wing commander Henry Neville Gynes Ramsbottom-Isherwood starts from the point that he was one of only four people to have been awarded the Order of Lenin outside of Russia. The red and gold Order of Lenin is one of the rarest awards ever won by a New Zealand serviceman. It had lain untouched at the back of a cupboard in Sussex for years. In 2008 an undisclosed Russian buyer bought the order for $90,000 at Sotheby’s. Who bought it and where it is now is still a mystery. 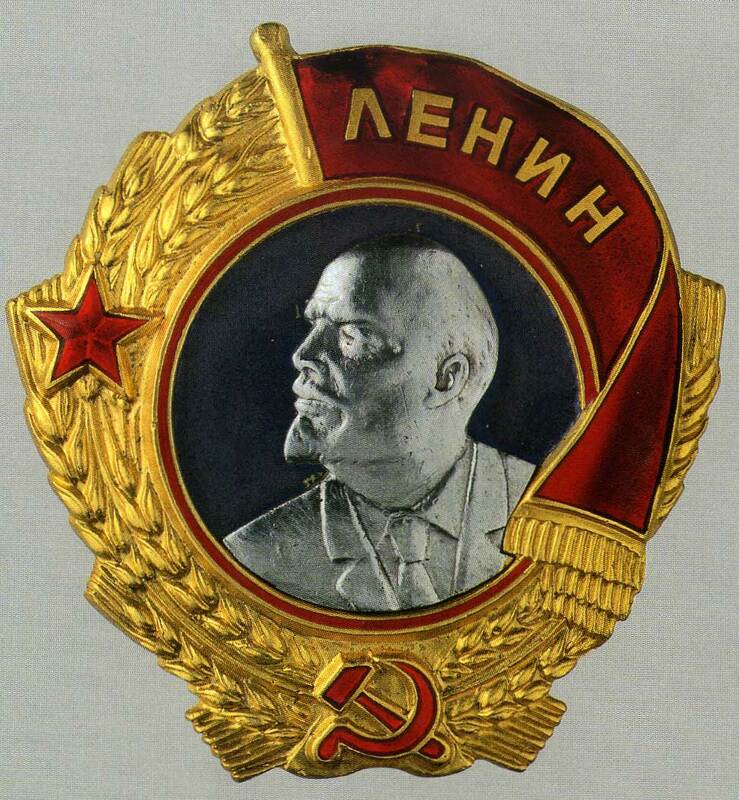 The story behind this Oder of Lenin is an astonishing one. When German forces invaded the Soviet Union in June 1941 the Russian Army needed weapons and supplies to stem the Nazi advance. 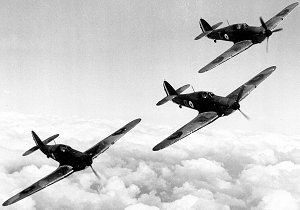 Stalin urged Winston Churchill, Britain’s wartime leader, to send him Spitfires, the RAF’s latest and fastest fighter planes. 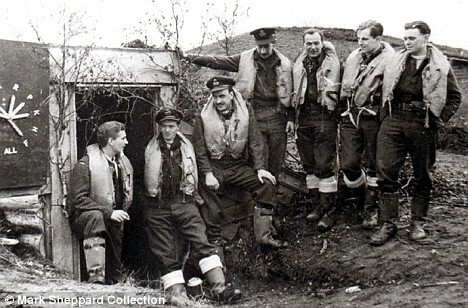 At last Churchill dispatched Hurricanes – 40 of them to begin with, hundreds later. The fighters were located at Vaenga, 15 miles north-west of Murmansk on the Kola Peninsula that borders Finland on the northern edge of the Soviet Union, deep inside the Arctic Circle. Henry Neville Gynes Ramsbottom-Isherwood led the 151 fighter wing of the Royal Air Force fighting Germans alongside Russian pilots for four vital months in the winter of 1941. As trainers and technicians the foreign pilots of 151 Wing were officially under the command of Admiral Nikolai Kuznetsov, head of the Soviet Navy and Naval Air Service, and their orders were to undertake ‘the defense of the naval base of Murmansk and co-operation with the Soviet Forces in the Murmansk areas’. In practice, their job was to get the Hurricanes flying, train the Russians in their use, hand them over and return to Britain. 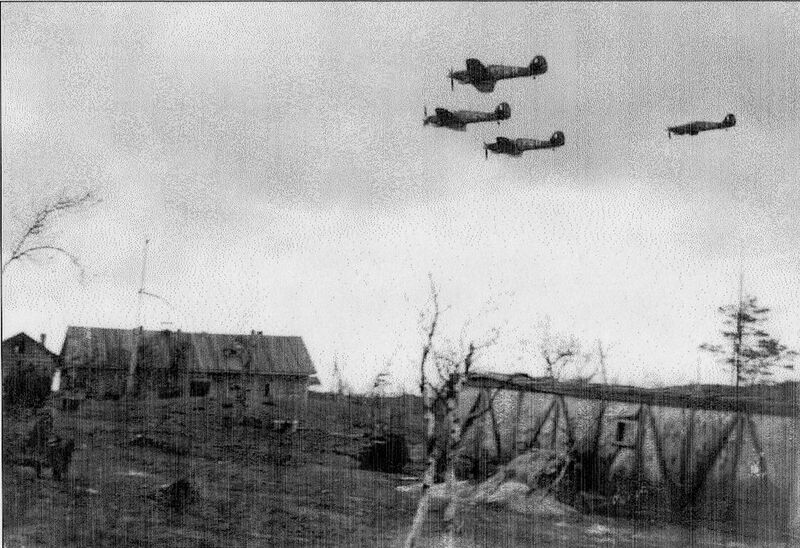 But since they were within easy range of air bases in Germany’s ally Finland, they would also go into action, escorting Russian bombers to these targets and shooting down as many German aircrafts as they could. All 39 were to rendezvous there at a brutally exposed base whose rutted grass strip was open to the bitter winds and snows of the Russian winter. In all, around 550 RAF air and ground crew made this their home for the next four months, a very short time to get their mission completed in temperatures that would go down to -15°C, with daylight that varied from 23 hours at the start to 3 hours at the end, plus rain, mist, snow and ice. They achieved miracles. On August 30, three Hurricanes took off for flight testing. Nine days later all 15 were flying, to the delight of the pilots and the Russians. They flew up to Murmansk and the first operational patrols began. Heading the operations was Wing Commander Ramsbottom-Isherwood from New Zealand. Short, wiry and tough-minded, he was a career RAF flyer in his mid-1930s. He was probably the most experienced pilot in the Wing and had been awarded an Air Force Cross for his hazardous duties flight-testing Spitfires, Hurricanes, Typhoons and Beaufighters. Described as having a mouth like a steel trap he was, as one of his men said, not to be trifled with, although he did have a sense of humour and was known to enjoy a party. Living conditions were good. The men had brick barracks with solid windows and plenty of wood-fired heating. On the very first day, the Russian hosts produced a welcoming breakfast that included champagne and brandy, delights that were not, however, to be repeated. On September 12, six patrols and escorts went out and 151 Wing had its first skirmishes with enemy planes. Three of the enemy were shot down. In all, Wing 151 carried out 365 sorties during its stay at Vaenga, claiming 11 Messerschmitt fighters and three Ju88 bombers shot down – a very creditable tally, considering how short the mission was. On October 13, the handover of the Hurricanes to the Air Force of the Soviet Northern Fleet started. On October 26 the first Luftwaffe aircraft was destroyed by an ex-151 Wing Hurricane flown by a Russian pilot. Force Benedict’s job was done. It was time to go home. On November 16, an advance party left for Archangelsk to sail back to Britain. A fortnight later, Wing-Commander Ramsbottom-Isherwood, Squadron Leaders Rook and AG Miller and Flt Sgt Haw were awarded the Order of Lenin, the only four British servicemen so honoured in the whole of World War II. In the list of Russian honours, the only one higher is the Order of Victory, and only one of those was awarded to a Brit, Viscount Montgomery. On a fine spring day in late March 1942, the four were invited to the Soviet embassy in Kensington where Ivan Maisky, the ambassador, presented them with the medals. The importance of the event for Anglo-Soviet relations was shown by the presence of Clementine Churchill, representing the Prime Minister Winston Churchill; Sir Archibald Sinclair, Britain’s Air Secretary; Air Chief Marshal Sir Charles Portal, the Chief of Air Staff; and Air Marshal Sir William Sholto Douglas, head of fighter command. 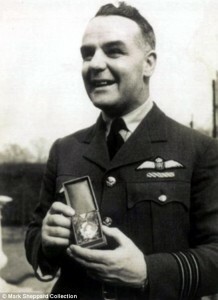 Ramsbottom-Isherwood was also awarded a Distinguished Flying Cross for his Russian exploits. He later flew in the Far East and survived the war, rising to the rank of group captain. Afterwards, he became commanding officer at Martlesham Heath RAF base in Suffolk. 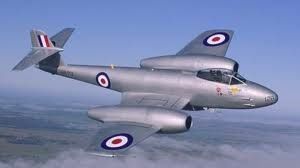 On April 24, 1950, he took off in a Meteor jet fighter, then just coming into service, for a test flight. Over Kent, he ran into blinding snowstorms and icy conditions. He flew over West Malling at 200ft and headed for RAF Manston. At 10.45 the aircraft dived into the ground four miles east of Tonbridge and disintegrated, killing him outright. Extreme icing was the likeliest cause of the accident. At only 44, the man who had led Force Benedict through the wintry skies of Northern Russia had died in conditions similar to those he and his men had encountered and overcome in distant Murmansk. His medal, along with his other awards, stayed with his family. His wife remarried and went to America. She is now dead. His only child, India, just 10 when her father died, had little interest in medals. Eventually she settled in Rottingdean, on the East Sussex coast. She is now frail and in her late 60s. In February she moved to Somerset to be looked after by friends. While her house was being cleared, a plastic bag containing her father’s long-forgotten medals was found at the back of a cupboard. In it were his AFC and DFC 37 and that rare and elusive Order of Lenin. From that find has emerged a rarely remembered story of World War II bravery and the odd, forgotten campaign fought by the men of 151 Wing in a remote, cold corner of the Soviet Union. Tonight I watched the documentary Operation Hurricane on Prime, which saw Gynes Ramsbottom-Isherwood travel to Russia to retrace the steps and find the story of his ancestor, Wing Commander Henry Neville Gynes Ramsbottom-Isherwood. The latter was a kiwi in the Royal Air Force who was sent to Murmansk in the Russian Arctic Circle to lead No. 151 Wing, consisting of squadrons of Hawker Hurricanes and RAF pilots who would both train the Russian Air Force in their flying tactics and also take part in the air battle there. For their efforts, W/C Ramsbottom-Isherwood and three RAF pilots were awarded the prestigious Order of Lenin, the highest military medal in the Soviet Union. The documentary was fairly good but it laboured a bit, most of it seems to be scenes shot at Russian train stations combined with readings from old newspaper articles and a book written by one of the pilots; and I felt it was almost a mash-up of Great Railway Journeys Of The World and Who Do You Think You Are. But this didn’t detract too much. There were some superb interviews with people who’d been in that theatre of war both onboard Royal Navy vessls in the Arctic Convoys and also an English pilot who flew with the Wing. A few annoying things throughout, the presenter Gyne Ramsbottom-Isherwood insisted on calling the unit his ancestor lead “Wing 151” when it’s correct title was No. 151 Wing, Royal Air Force. Also when reading from one news report which was also on screen it clearly stated the pilot was from Petone but he read it as Blenheim, probably a correction but there was no need to show the incorrect text on screen. And the inevitable one was every second time he mentioned the word Hurricane we saw a Russian fighter that was not a Hurricane, Migs, Yaks, Laggs or whatever, but not Hurricanes. However there were some really super photos throughout and some fascinating footage of the squadron and the Russians at war in that area. I found it very interesting that where most Air Force armorers used a tractor to tow their bomb trolleys, the Russians in winter used reindeer towing bomb sleds. What a great idea for a snowy Hurricane diorama. There were also several historians, British and Russians, interviewed, and that too was really interesting stuff. I had not realized how close the Germans were to Murmansk and how they had flattened 70% of the city. It was interesting to see the different perspectives on the history too, and the affect that the Communists had had on the history told within the USSR of their Allied help. Overall an interesting documentary and one that brings a little know aspect of the war, and a kiwi’s involvement, to the general public’s notice, which can only be good. I’m glad I watched it. Gynes Ramsbottom-Isherwood, a friend of my father’s and co-member of the Marlborough Aero Club, was born at Petone but lived in Blenheim, which he considered home. He was rejected by the RNZAF because of dare-devil exploits such as flying a biplane under the High Street bridge in Blenheim (you’d have to see the bridge to understand what this meant), but was accepted by the RAF which had need of warm bodies, especially those possessing obvious aeronautical skills.